Jeffrey W. Roberts chairs Nutter’s Private Client Department. His broad-based practice consists of estate planning for high net worth individuals; acting as counsel to executors, trustees and conservators; advising on tax planning and charitable giving; and negotiating prenuptial agreements. Clients rely on Jeff’s experience to leverage transfers to future generations, including qualified personal residence trusts (QPRTs), grantor retained annuity trusts (GRATs), charitable lead trusts (CLUTs and CLATs), family LLCs and sales to defective grantor trusts (IDGTs). Clients regularly engage Jeff to represent them in a wide variety of matters in the Massachusetts Probate & Family Court including reformation of trusts, complaints for instruction, declaratory judgments and will contests. Numerous private trusts designate Jeff as a trustee and depend on his counsel in the management of investments. Non-Judicial Settlement Agreements, May 2016. At an event sponsored by the Boston Bar Association, Jeff explained the mechanics of non-judicial settlement agreements and how they can be used to solve a wide variety of trust administration issues without the involvement of the Massachusetts Probate & Family Court. Massachusetts Bar Association Annual Probate Conference, October 2015. As part of a panel on a range of trust administration issues, Jeff outlined different ways of charging for trustee compensation and the disclosure requirements under Massachusetts law for estate planning attorneys who might serve as a fiduciary for their clients. Estate Planning Considerations for Parents of Special Needs Children, September 2015. At an event sponsored by the Brockton Area ARC, Jeff discussed with parents of special needs children different ways they might want to structure their estate plan in order to maximize the services and benefits available to their children. Fiduciary Accounts, MCLE New England, September 5, 2012 (updated 2015). This chapter in the Massachusetts Probate Manual explains how to prepare accounts. Covered topics include the filing of accounts, their presentation for allowance, the procedure for allowance, contests and the procedures for reopening of allowed accounts. Trustee Compensation: What Is Reasonable?, October 2014. Jeff was part of a panel presentation before the Trust Administration Practice Group of the Massachusetts Bar Association discussing different ways of structuring and charging for trustee compensation. Year-End Estate and Income Tax Planning, October 2014. Jeff presented year-end income tax and estate tax planning considerations for individuals to the Boston Philanthropic Advisors Roundtable. BPART is a study group comprised of a variety of professionals and philanthropists from both the for-profit and non-profit sectors in Boston. Estate Planning Considerations for Parents of Special Needs Children, April 2014. As part of an all-day "Transition Conference" sponsored by South Shore Support Services for parents of special needs children about to turn 18, Jeff discussed with parents different ways they might want to structure their estate plan in order to maximize the services and benefits available to their children. 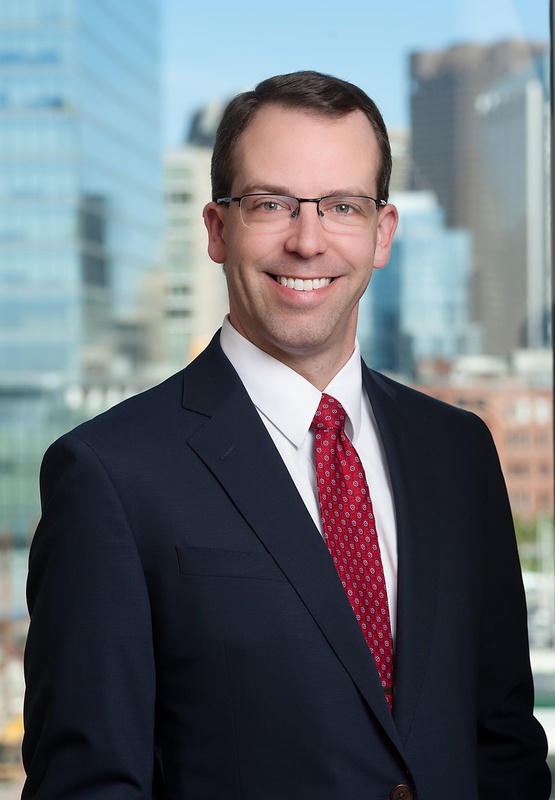 Jeff’s leadership role in the business community includes selection to be part of the Boston’s Future Leaders program for 2015 by the Greater Boston Chamber of Commerce. He is a member of the Boston Bar Association, the Boston Probate and Estate Planning Forum and the Essex County Estate Planning Council. Prepare single act petitions for appointment of limited conservators in the Massachusetts Probate Court. Managed annual gift program to transfer interests in client’s Cape Cod property to descendants to maintain family residence and minimize estate taxes. Represented multiple generations in estate and business planning succession for a $20mm family held corporation. Prepared a $35mm estate tax return involving closely held business interests and foreign real estate. Prepared an estate tax return involving valuation issues for a family farm and a substantial art collection. Negotiated the settlement of estate tax audits with taxing authorities concerning the valuation of real estate and a hedge fund interest. Represented trustees in a complaint for instructions to the Massachusetts Probate & Family Court to determine the appropriate beneficiaries following termination of two trusts.